This sales VAT invoice template in Microsoft Excel format includes 6 columns on the printable invoicing form, that are Description, Price (Including Tax), Quantity, Total (Net), VAT Amount, Total VAT. 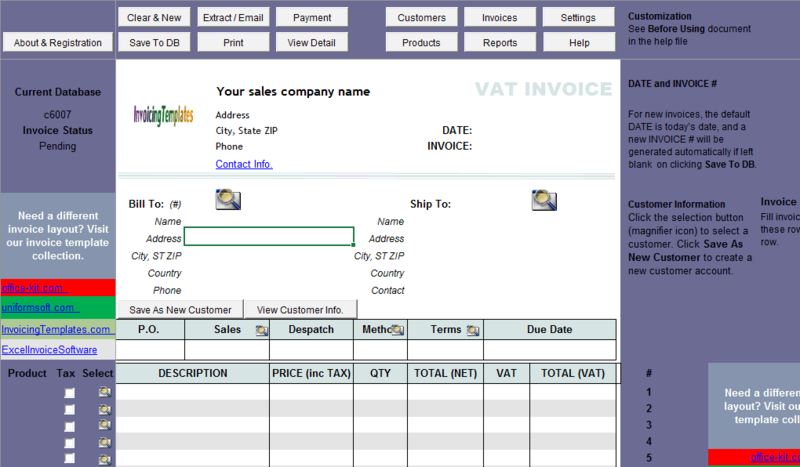 c6007 now includes the customized invoice template for the latest version of Invoice Manager for Excel. This is what you will see when you open vatsalespriceincludingtax.xlsx. 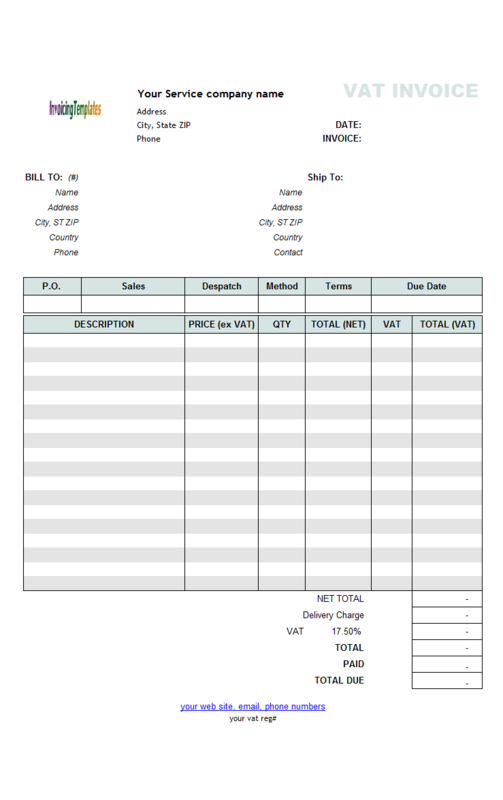 As the name implies, the price on this template including tax, so that the total, which is calculated by "Price * Quantity", includes the VAT amount. 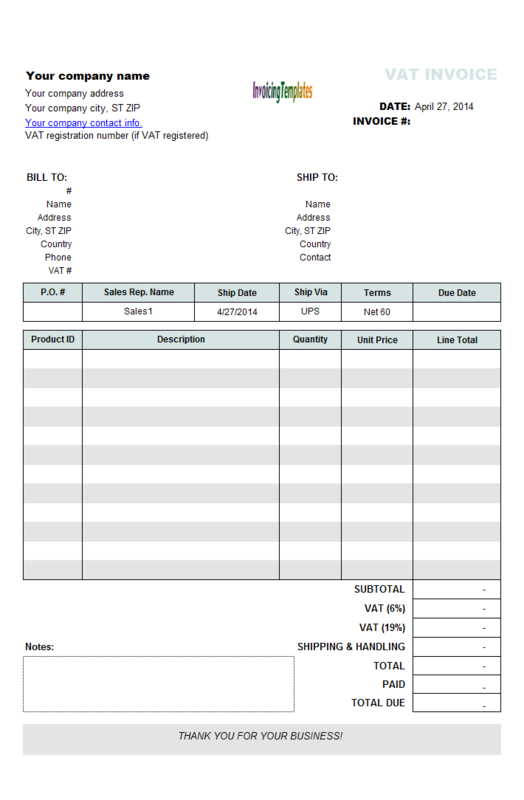 The VAT amount column inside the printable invoicing form is calculated with the formula "Total (VAT) - Total (Net), where the "Total (Net)" is calculated with a formula like "Total including VAT / (1 + VAT Rate)" if the item that is being invoiced is taxable; or the "Total (Net)" equals to "Total (VAT)" if the current item is not taxable. 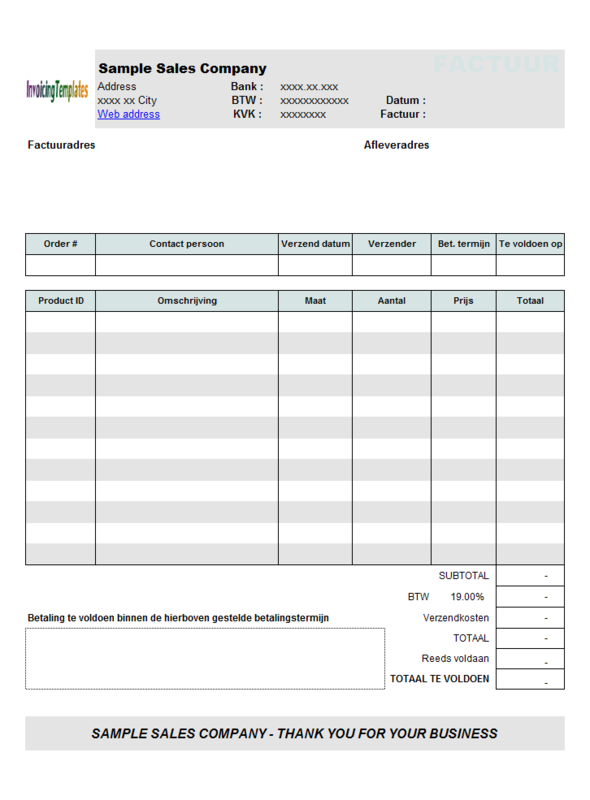 A counter partner of this free VAT invoice template is also available here on InvoicingTemplate.com, at VAT Sales Invoice Template - Price Excluding Tax, which defines the price in the way that does not include VAT. Choose any template that suits your business requirements and download it for free. 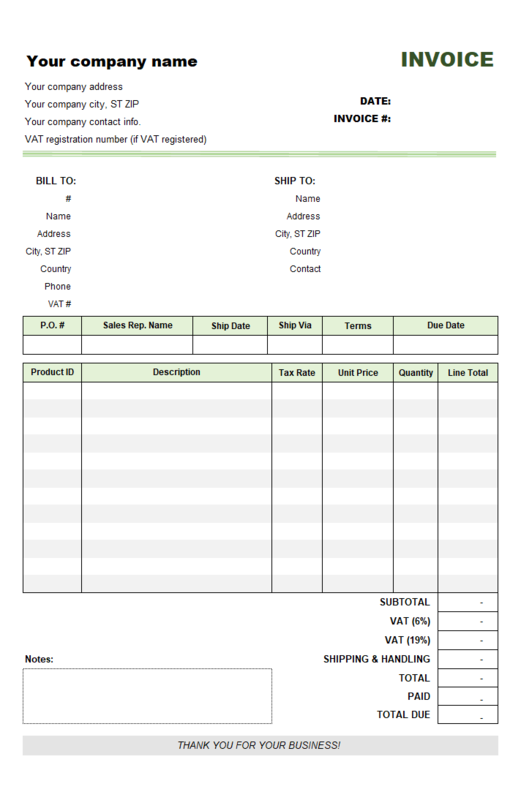 Like many other invoicing templates here on Invoicing Templates, VAT Sales Invoicing Template - Price Including Tax has a default logo image on the top of the invoice form. To replace it with your default logo image, you need to first unprotect the invoice worksheet, and then put the spreadsheet into design mode. 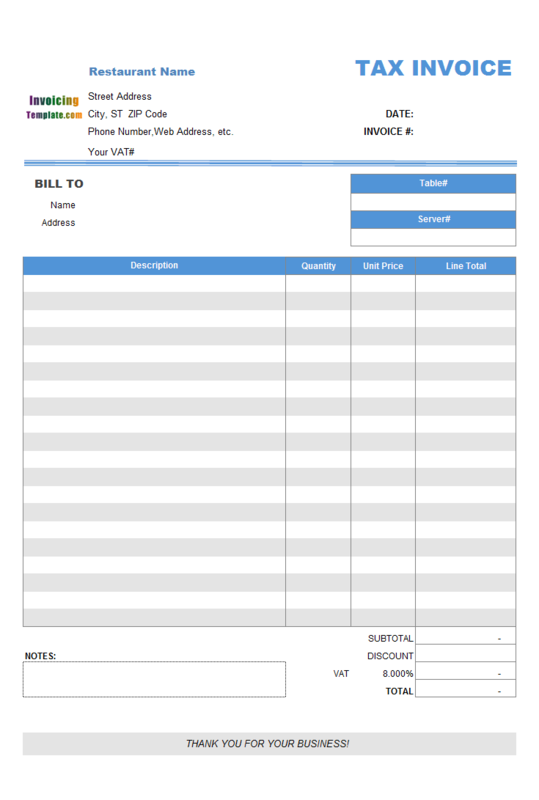 The VAT invoicing template (prices including tax) helps you get paid quickly and look stylish with its professional design. 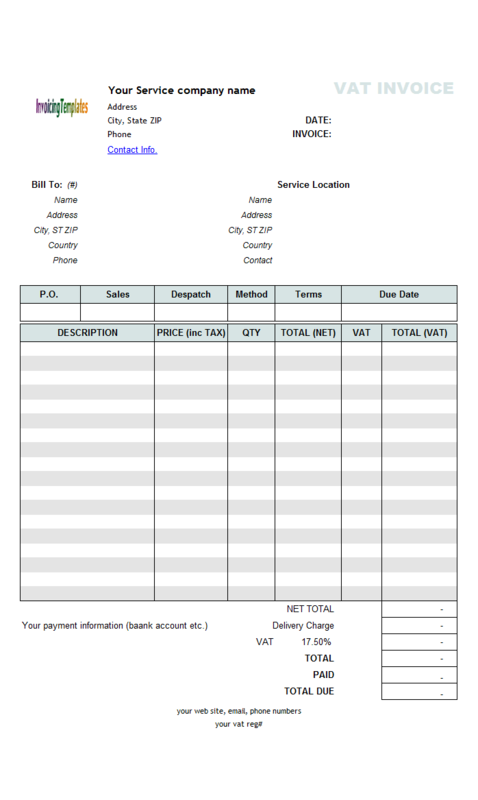 A PDF version of this free invoice template is also available here on InvoicingTemplate.com, which can be downloaded by clicking the PDF link on the right hand of this page. 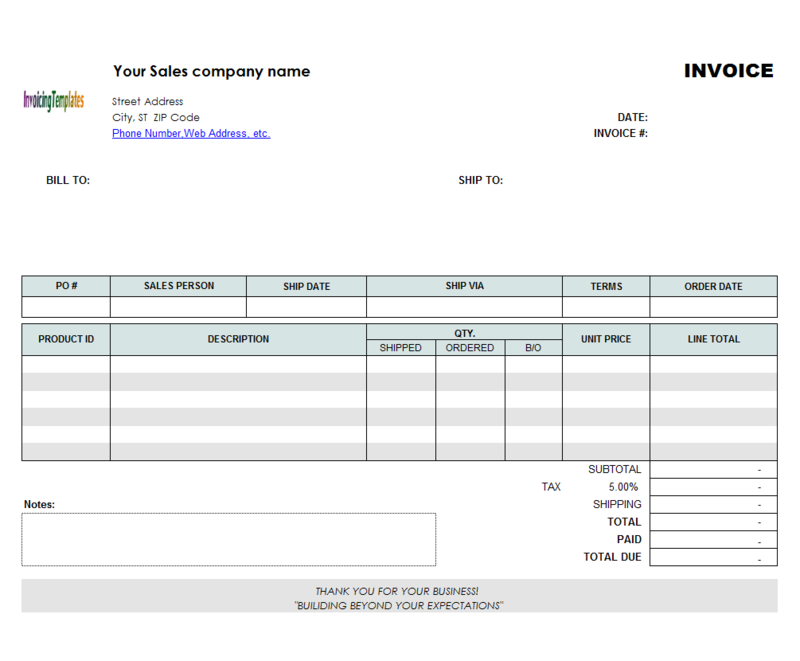 Our sleek, simple free invoice templates are created especially for freelancers, contractors and small business owners. These templates will work great for sole traders and limited companies alike. In case you are needing a more complete invoicing solution, and has the need of managing your customers, products or services, invoices and payments in an easy way, download and install Invoice Manager for Excel (namely Uniform Invoice Software). 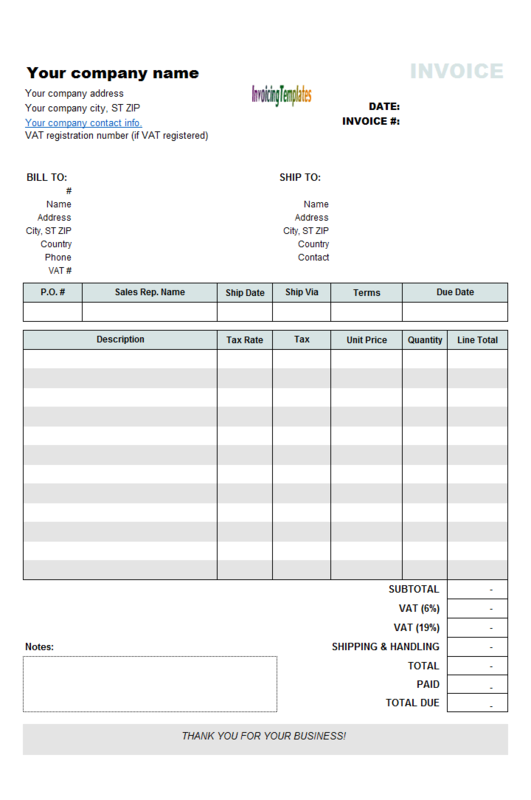 VAT invoicing template (prices including tax) is a sales invoice template, meaning that it includes a shipping address section on the printable invoicing form. 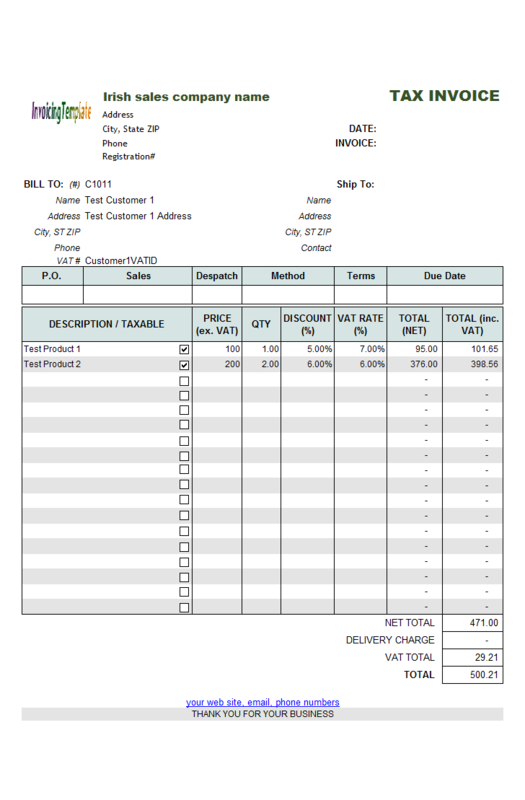 If you are running a service business, such as a consultant, you may like to see the service version, at VAT Service Invoice Template - Price Including Tax. If your prices are excluding taxes, then please download the free invoice template at VAT Service Invoice Template - Price Excluding Tax. 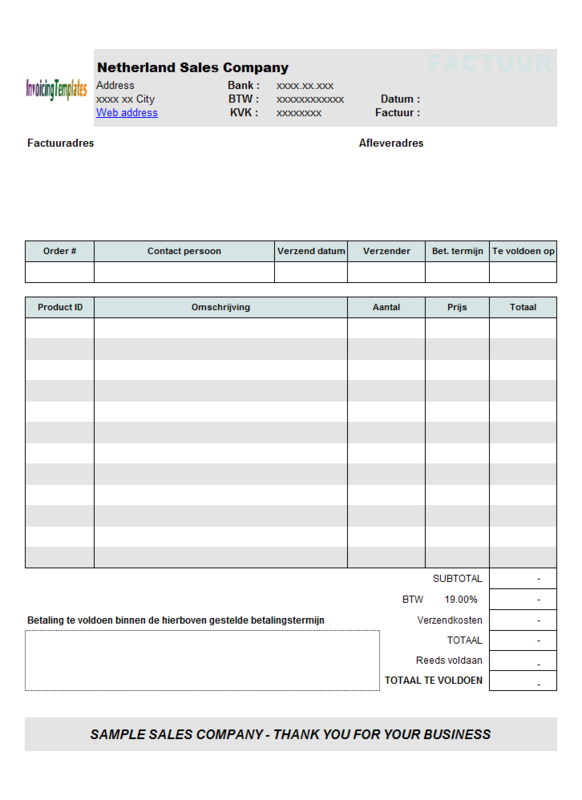 Like other form designs here on InvoicingTemplate.com, VAT Sales Invoicing Template - Price Including Tax is free (offered to you at a price of 0.00USD). It works on Windows XP and all newer versions of Windows, and Excel 2007, 2010, 2013 or 2016.